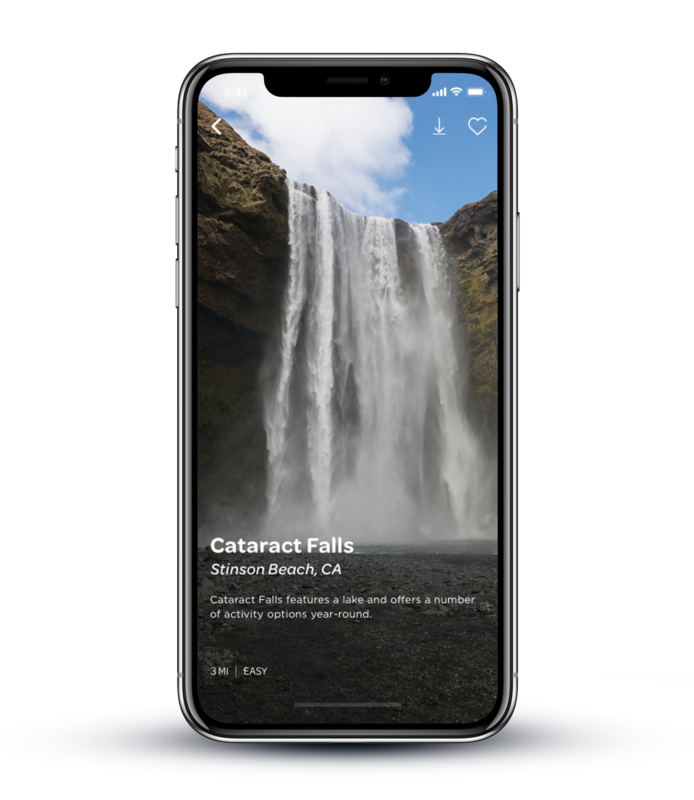 Cascade, a waterfall wayfinding app, allows users to access hike information, save hike details for offline use, and share real-time updates to their safety contacts. Project Roles: I led the interaction and visual design of Cascade creating wireframes and high-fidelity prototypes. How might we encourage safe exploration of waterfalls through informational resources? For this project, the topic was on travel or exploration within California. Despite this constraint, we decided to go beyond the typical exploration of a location (i.e. sight-seeing or foods) and instead focus on the “hidden gems” of a place. Our focus was the outdoors and during our secondary research, we discovered that California has approximately 244 waterfalls. Although, all the teams members grew up in California, this statistic was surprising to us, so we decided to narrow in on this opportunity space. 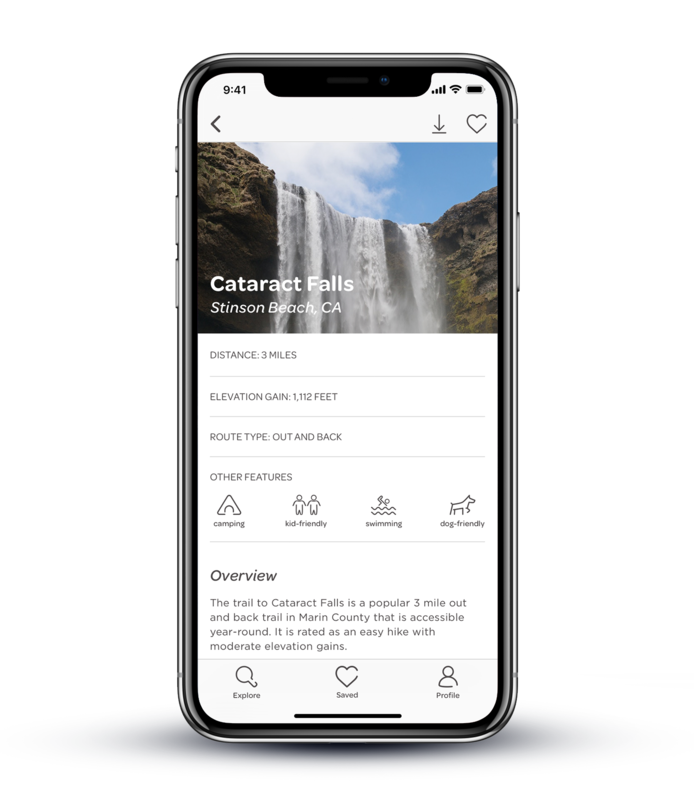 We created Cascade, a waterfall wayfinding app, that gives you hike information (both online and offline), and the ability to share hike updates to your safety contacts. On the homepage, you can toggle between a list view and a map view of nearby waterfalls. On the details page, you can view route information, get hike recommendations, and learn about hike features. In the profile section, you can access your lifeline where you can share hike details with your family or friends. You can also add safety contacts, edit planned hikes, and access your offline resources. Your safety contact will get a notification when you started a hike and another notification when you reached your destination. Safety contacts can also view your hike progress and see personal notes. During our competitive analysis, we saw that a majority of hiking apps offered minimal information on waterfalls and tended to list waterfalls as a filter preference. We also noticed that guidebooks were the better reference material for local information on waterfalls. Although, guidebooks contained detailed information, the information was often limited to geographical locations such as specific states or cities. 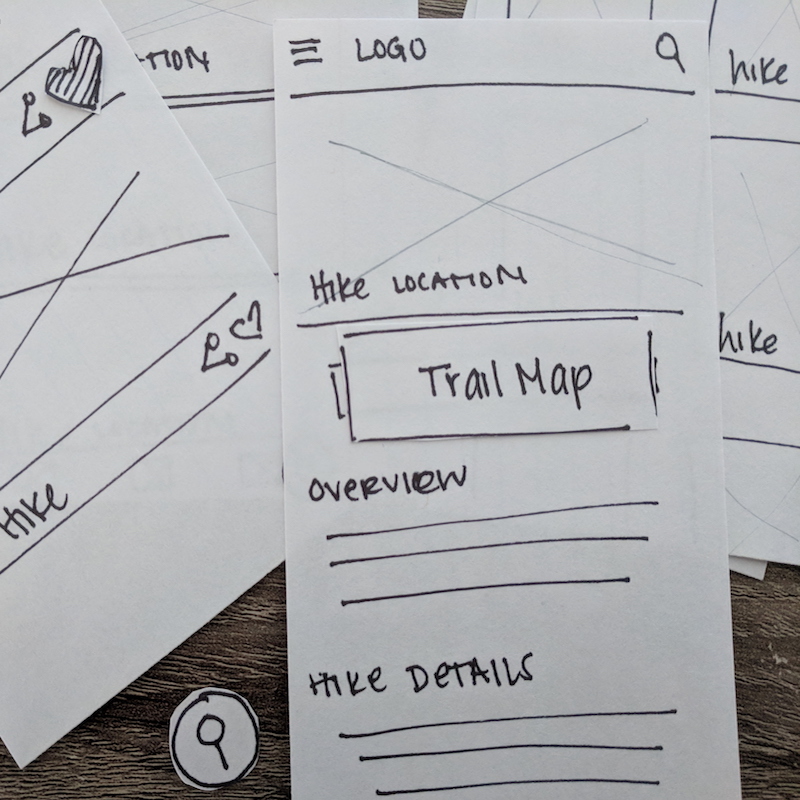 After looking at hiking apps, guidebooks, and travel apps, we created a list of UI elements that we wanted to explore and test with users. For the first round of user testing, we interviewed six people and tested three versions of paper wireframes. We wanted to understand what information should be presented as well as the structure and layout of the app. ‍All of our users liked the ability to state their hike preferences via the filter feature. ‍Most of our users wanted to see pictures or a photo gallery of the waterfalls. 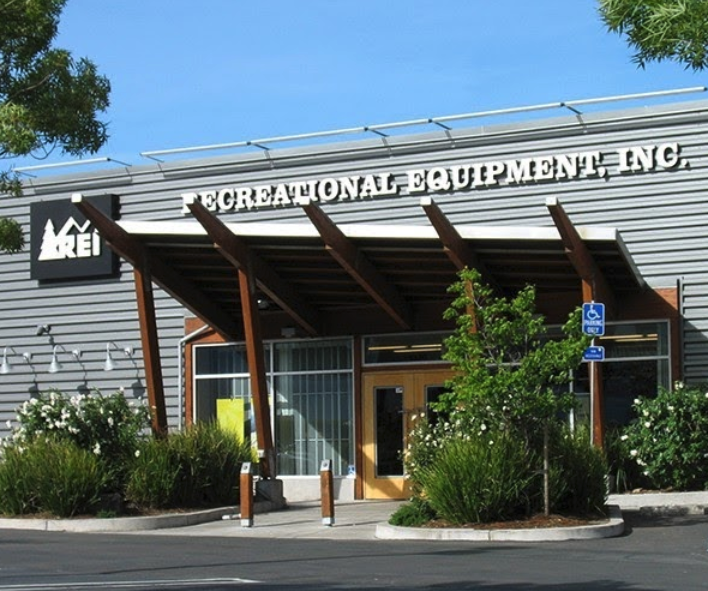 As we conducted our first round of user testing, we also moderated semi-structured interviews at a local REI store. We interviewed five customers and employees about their hike preparations and what they do during and after a hike. Taking what we learn from our semi-structured interviews, we did another round of user testing with four people. Our goal for this round was to gain insights on what features people preferred (i.e. photo gallery or community forum) and learn about their motivations to use Cascade. 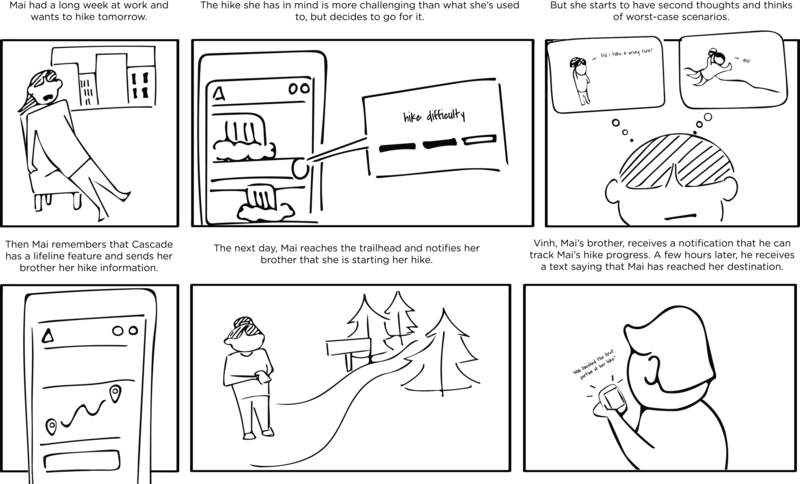 We also wanted to understand user's biggest pain points throughout the hiking process; from preparation to post-hike. Users preferred detailed information, but presented in a way that was digestible. Too much information felt overwhelming. Because of limited internet access, all of our users prepared for hikes by printing out information or saving the information to their phones for offline access. Most of our users informed a family member or friend if they were going on a hike, especially if they were hiking solo or the hike was in a unfamiliar location. 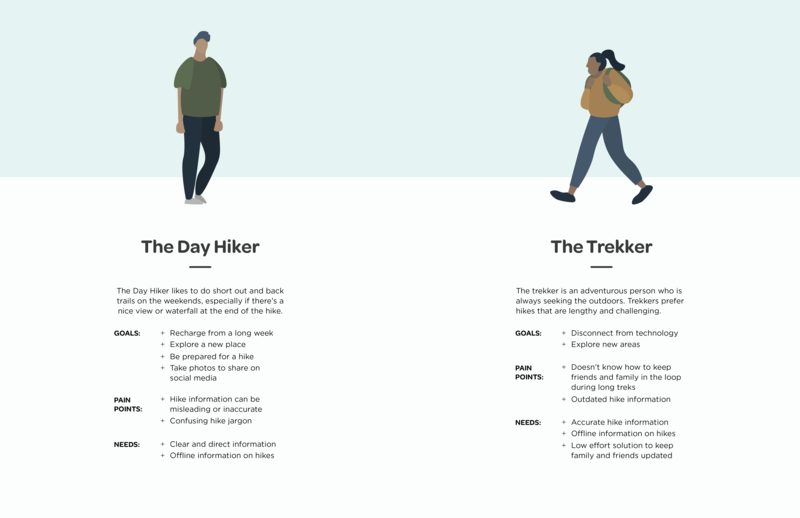 Based on what we learned from the paper prototypes and semi-structured interviews, we created two behavioral archetypes: the day hiker and the trekker. These behavioral archetypes take emerging themes from our user research and captures a group’s motivations, needs, and pain points. In the beginning of our project, users were extremely vocal about seeing pictures of waterfalls or sharing information on forums. However, as the project progressed we saw underlying themes that centered on the hiker rather than the visuals or hike community. Users were more concerned with obtaining detailed, accurate hike information and personal safety. Based on our research we decided to pivot and focus on the offline and lifeline feature. These two features also complemented the different experiences of both the day hiker and the trekker. For the lifeline feature, we created a storyboard that explores the hiking experience through the day hiker’s perspective. After pivoting, we moved away from a photo gallery that was prominent in our initial wireframes, we still wanted the app to be image heavy. We also wanted the copy of the app to be informative and digestible for our users. For future iterations of Cascade, I would love to extend the scope of the project outside of California and add waterfalls from other states as well as internationally. Additionally, I would like to add the ability to customize the planned hike route. A part of exploration is going off of the beaten path and creating your own adventures. Through hike personalization, this would give the user more agency to do so. I learned in the beginning stages of our project that it is important to test our assumptions and dig deeper into users' wants, needs, and motivations. Additionally, during our user testings, participant bias can occur if the user feels uncomfortable or pressure to say the “correct” thing. Therefore, it is important to not only be observant of non-vocal cues, but to use those cues to reframe interview questions as needed. We did not learn this until later on, but it became an significant factor in our pivot and later iterations of Cascade.